Spacious, single-level, 2 bedroom, 2 bath condominium by the beach! Open living/dining room with a gas fireplace surrounded by a wraparound deck with ocean and wharf views. Large master suite with private balcony. Master bathroom with double sink and zero entry shower. 2nd bedroom with murphy bed allows for versatile use of space. Tons of storage. Elevator access to all levels, including the private underground garage. Secured building with monitored access. 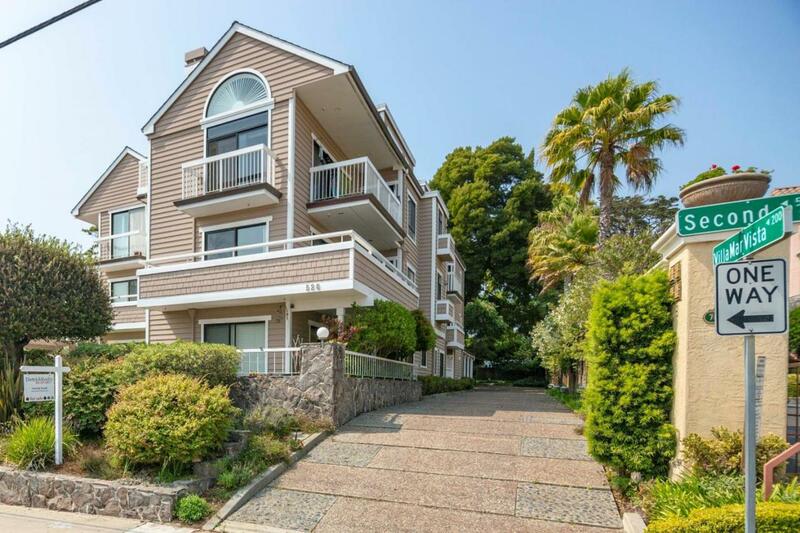 This Beach Hill condo is a short walk to so many great establishments and attractions, easy access to downtown. Live like a city dweller with the relaxed beach town vibe! Listing courtesy of Dietrich Brandt of Dietrich Realty.